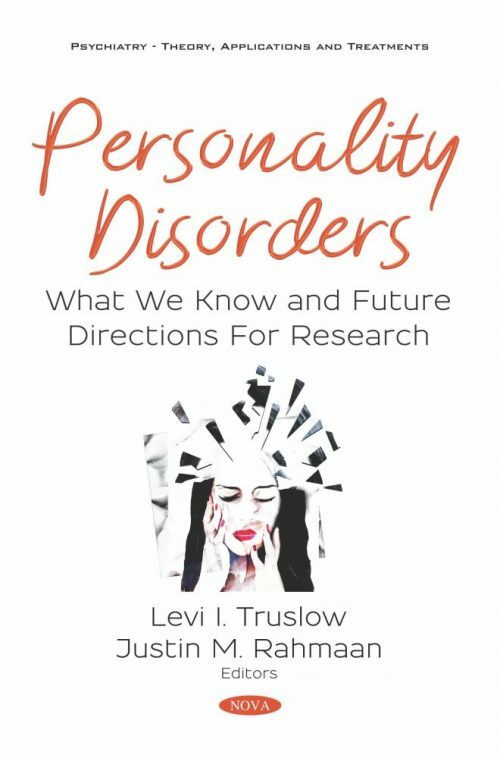 Personality Disorders: What We Know and Future Directions For Research first presents an overview of the current Diagnostic and Statistical Manual of Mental Disorders—5th Edition conceptualisation of personality disorders. After discussing the strengths and limitations of the Diagnostic and Statistical Manual of Mental Disorders—5th Edition’s categorical approach to personality disorder classification, the authors review relevant literature pertaining to the trait and temperament model operationalised in the Schedule for Nonadaptive and Adaptive Personality. Next, this collection examines dynamic interpersonal processes associated with the etiology and maintenance of personality impairment using an experience sampling methodology and two different data analytic approaches to quantify how patients’ perceptions of self and other influence their symptom expression, emotions and functioning in daily life. The authors study the structural validity of a brief form of the Personality Inventory for DSM-5 in a sample of college students identifying as black/or African American. Consistent with previous research, results suggest that the measure conforms to a higher-order five-factor structure. However, results also indicate that traits are associated with depressive symptoms and alcohol use in different ways than in white samples, suggesting differences in the validity of maladaptive traits across race. The closing chapter aims to discuss the differences between the clinical constructs of psychopathy and antisocial personality disorder. Specifically, psychopathy and antisocial personality disorder are compared and contrasted via a review of the literature. Subsequent implications for the treatment of criminal behavior are described, and a discussion on future research is provided.